It’s hard to believe that summer is almost over! I hope that everyone has had considerable time on the water this summer, and have taken advantage of salmon and California halibut in the bay, as well as other species offshore. Hopefully we’ll get a chance to target albacore this year, it’s been a tough couple of years for us. We wanted to express our appreciation for all those that responded to the HASA survey for providing input on priorities for the coming year. Both the rankings and the individual comments were extremely helpful for us to develop our 2017 budget/workplan priorities. We apologize for not providing an overview of results in this newsletter, it has been a very busy summer for us. Dirk and I will prepare a summary for the next newsletter, with explanation of how those results helped shape our 2017 workplan. 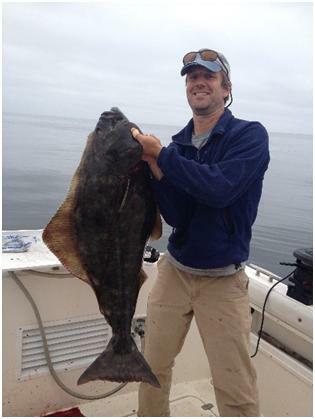 A couple of notable highlights was the importance of Pacific halibut to our members (nearly equal to salmon! ), the overwhelming prioritization of representation at fishery management meetings, more support of local boating infrastructure (docks, dredging), strong support for our new website, continued support for science collaboration, among others. Stay tuned for a more detailed summary. HASA support of science, policy, and economics continues in 2016. As Casey mentions on page 22, HASA is supporting an HSU student in analyzing CDFW surf perch otoliths to get a better understanding of growth and productivity. These types of partnerships not only help our understanding of fisheries targeted by HASA members, but also builds strong relationships between HSU, CDFW, and HASA that helps in overall fisheries management. We are also contributing to dock infrastructure improvements with the City of Eureka, as well as assisting with encouraging dredging at the Eureka boat basin ramp. Based on the disappointing outcome of the June PFMC meeting regarding Pacific halibut (see Tom’s article on page 15), we are stepping back and developing a longer-term strategy to improve our standing with the PFMC to get a fairer distribution of Pacific halibut to California anglers. PFMC has basically deferred revisiting the Catch Share Plan until 2019, so we will be getting our ducks in a row to be more effective in our efforts. It is not going to be an easy process, and will require several approaches working in tandem. It was clear to us that science is not a factor in PFMC decision making on this issue, so we will be working on the economics component and policy component in the next couple of years. In the next year, we will likely be conducting a more rigorous economic study to better quantify the economic benefits of Pacific halibut to north coast anglers, as well as the economic impacts of season closures. We will also attempt to work more closely with our agency and legislative partners on the policy side. An important component is also to ensure that we fully utilize our 29,600 lb allocation this year (we have 8,000 lbs remaining as of August 14), so get out there and get your halibut! Lastly, best of luck for the rest of the summer, and hope to see you out on the water!